There are currently 88,105 users on this website. 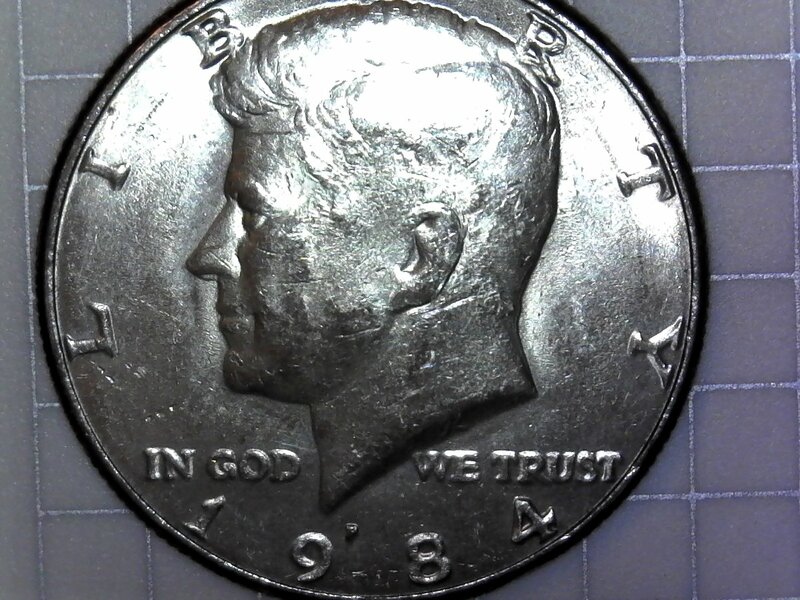 1984 P Kennedy Half Dollar MD Or DD? 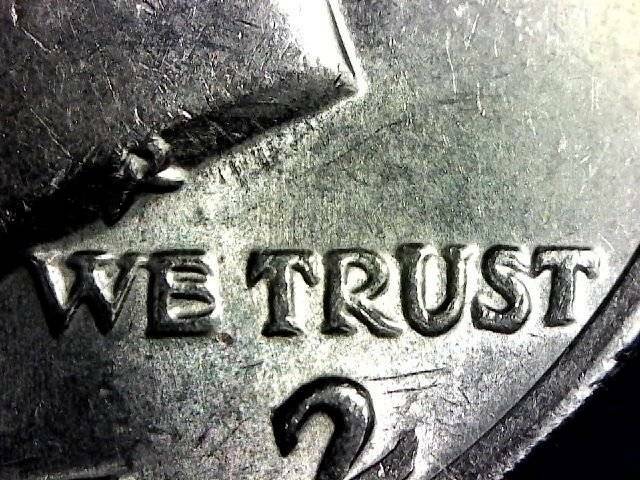 Hi, can you take a look to the "trust" and tell me what you see? 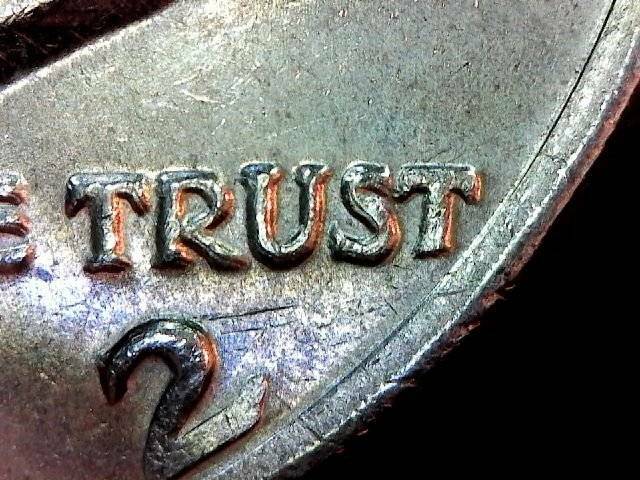 I can see why you'd ask, what you have is a form Die Deterioration Doubling , where the devices have widened and the coin is in a VLDS. it is not a Hub doubling. 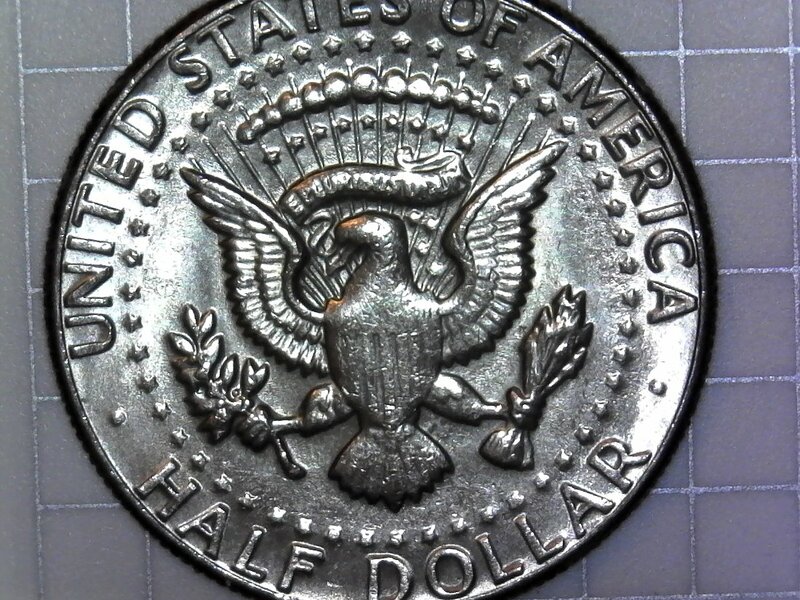 Not a Doubled Die. Just Die Deterioration Doubling. 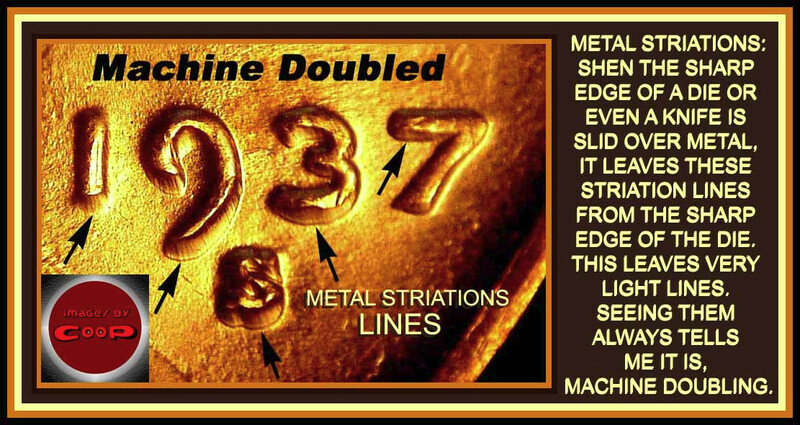 The lines you are seeing on that is is from Machine Doubling. The little lines are called striation lines. They happen when a metal edge moves slightly on a device on the 'TRU' devices. 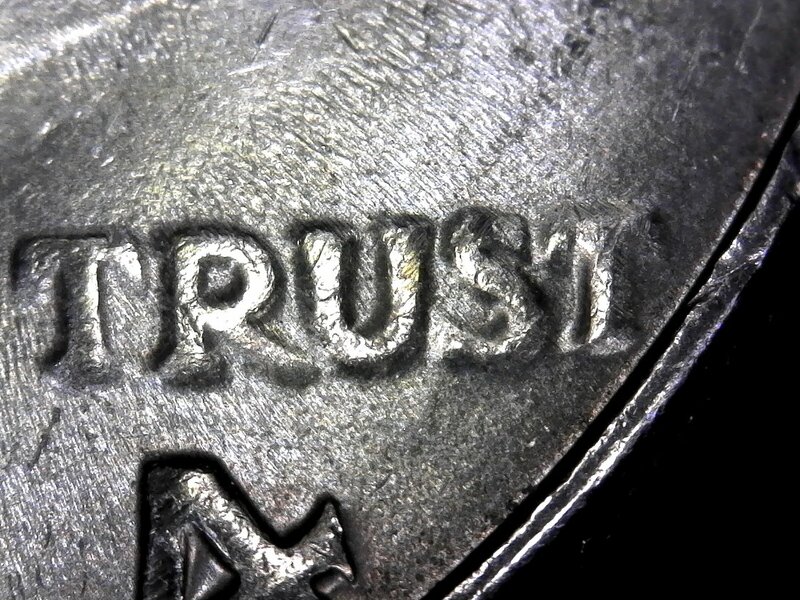 The dies were at this point, were in the VLDS die state when this coin was struck. 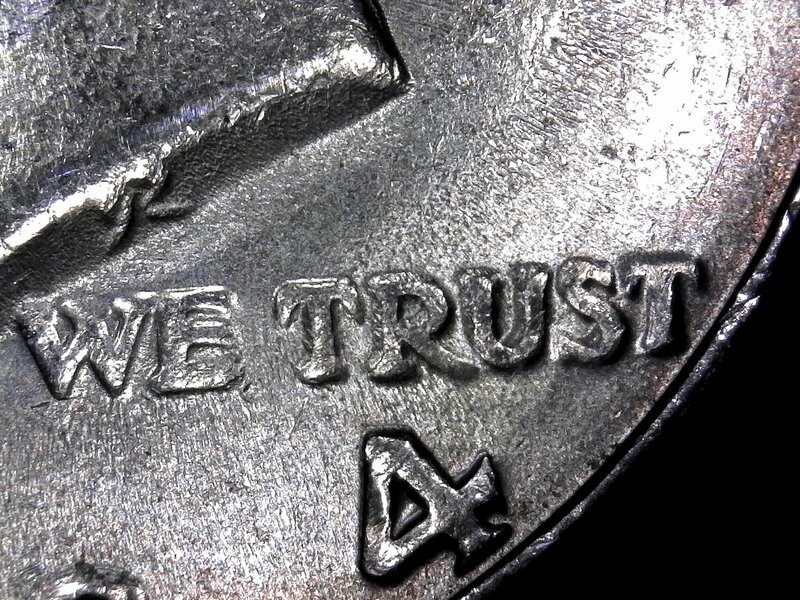 Not a doubled die. Just a die event. 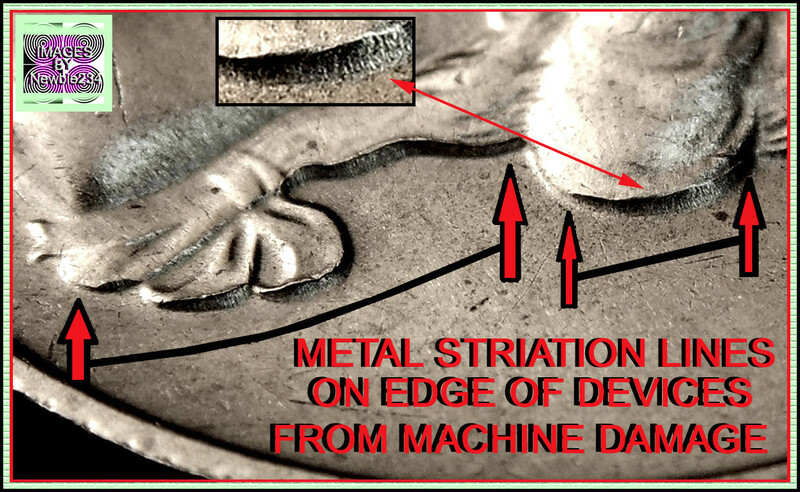 (VLDS) and a striking event (MD) that left the metal striations on the devices. No premium on these, just an answer to the question asked.